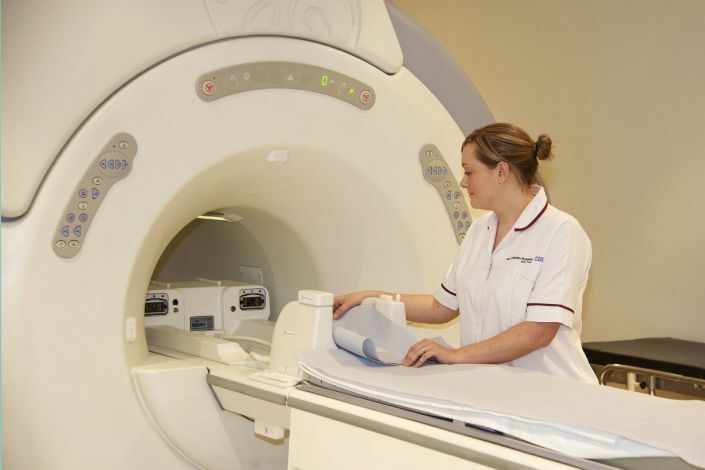 Our departments undertake a full range of radiographic examinations, with the service focussing upon producing high quality, technical and diagnostic images and providing excellent standards of patient care. Our departments undertake a full range of radiographic examinations, with the service focusing upon producing high quality, technical and diagnostic images and providing excellent standards of patient care. Patients can be referred to us for anything from a chest x-ray to a dental x-ray. There are two computerised radiography (CR) rooms in A&E and a Radiographer available 24/7. As patients in A&E can be very poorly or badly injured, Radiographers have to adapt the way in which x-rays are taken to ensure that the patient is not moved too much and is kept as comfortable as possible. When a radiographer sees there is something abnormal on an x-ray they have taken there is a system in place for highlighting this to the doctors called red dot. This dot is placed on the x-ray so that it is clear there is something that needs attention. Patients from the wards, hospital out-patient clinics and GP surgeries will come here for their x-rays to be taken. There are 4 CR general x-ray rooms in the main department plus one digital (DR) x-ray room and dental equipment. One of the rooms is dedicated to paediatric patients and one has a tomographic facility which is useful for demonstrating the organs of the body (particularly the kidneys) in more detail. There are also 2 fluoroscopy rooms in the main department where barium examinations such as enemas, meals and swallows are carried out. There are several mobile x-ray machines that are used when patients are too poorly to come to the department, for example patients on Intensive Care Unit (ITU) or babies on the Neo Natal Unit (NNU). Radiographers also spend a lot of time in theatre using specialist equipment called an image intensifier (II) that can take real time x-ray images during operations. This is particularly important for orthopaedic operations, urology some Gastro-Intestinal (GI) investigations and vascular cases. There are 2 x-ray rooms, 1 CR 1 DR and 2 fluoroscopy rooms. Patients are referred here from the hospital out-patient clinic.They are also seen from the minor injury unit. The x-ray department is open to patients Monday to Friday from 8.30 until 4.30pm. 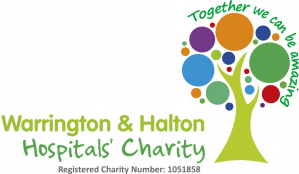 If you visit the Urgent Care Unit and require an x-ray outside of these hours you may be asked to travel to Warrington Hospital A&E or return to the Urgent Cacre Unit during the X-ray department opening hours. Patients are referred here from their GP. Staff who carry out x-rays and other diagnostic tests are called radiographers. As well as taking x-rays the radiographers are responsible for the testing of the x-ray equipment to ensure it remains safe to use. They also have a duty to protect patients, visitors and staff from radiation by applying in depth knowledge of radiation safety laws, in particular the Ionising Radiation (Medical Exposure) Regulations 2000. As well as this the department employs radiographers who have successfully completed a Post Graduate Certificate in Image Interpretation which enables them to provide a diagnostic evaluation (report) on x-ray examinations referred from Accident and Emergency and GP’s.